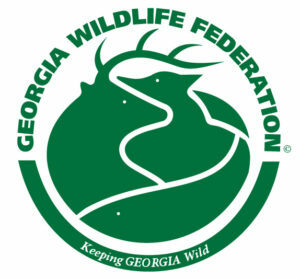 Much of the mission of the Georgia Wildlife Federation depends on successful conservation education. 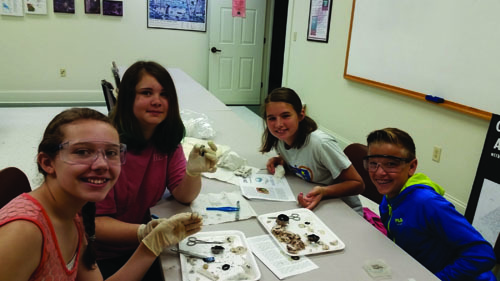 Quality education requires well-trained conservation leaders, public officials, and educators. 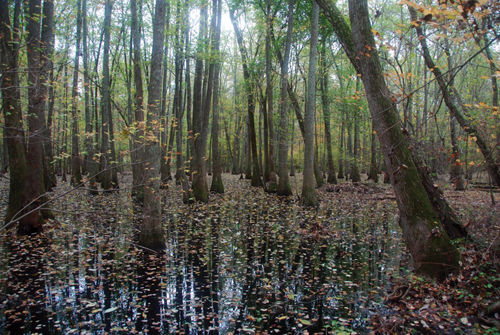 Using the magnificent tupelo swamps of the Alcovy River as an interpretive backdrop, the Alcovy Conservation Center (ACC) provides quality education, networking, and training opportunities for these leaders who will deliver the conservation message to the next generation. 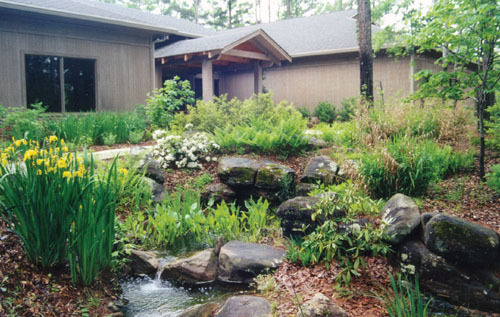 Situated on 115-acres along the Alcovy River, the main building complex contains 15,000 square feet of office, lecture, classroom and library space, surrounded by native plant gardens. Other facilities on the site include pavilions, an executive retreat house, and a quaint log cabin. 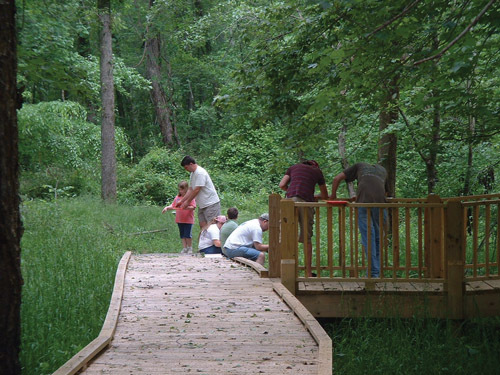 Scenic boardwalks and trails meander through woodlands, wetlands, and meadows. 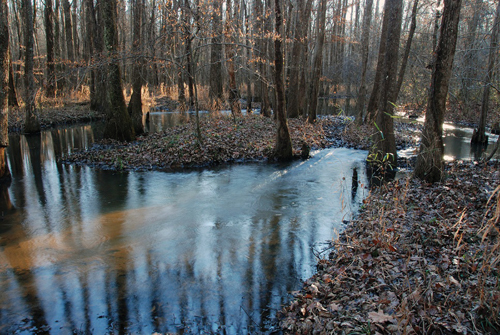 Ulcofauhatchee, published by GWF in 2011, gives an overview of both the ecological and historical significance of the Alcovy River in Newton County and provides three difference driving tours pointing out 89 points of interest. 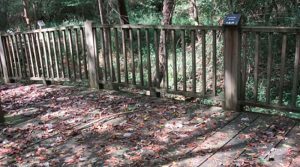 Visitors are welcome to walk the nature trails during regular business hours. Please check in with the front office upon arrival and departure. Office hours may vary on occasion. We recommend you call ahead to confirm. 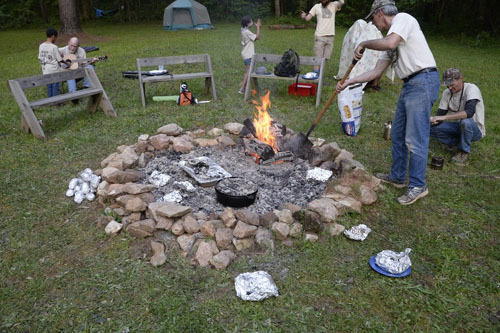 Organized groups (schools, homeschools, scout groups, etc.) must make arrangements in advance. From Atlanta: Take I-20 East past the exits for Covington to Hazelbrand Road, Exit #93. Turn left off the exit ramp. Turn right onto Hazelbrand Road (at the intersection with Home Depot). Travel approximately 1.5 miles. Cross over the Cornish Creek Bridge and turn right into our driveway (across from the Hazelbrand Road Recycling Center). Learn more about rental opportunities at the ACC.